Just install HUDStatus bars like normal then overwrite it's files with this mod. is it possible to make the frame in the same gold'ish colour to fit with the vanilla style? I agree that would be super cool so I will look into doing that! Stay tuned. 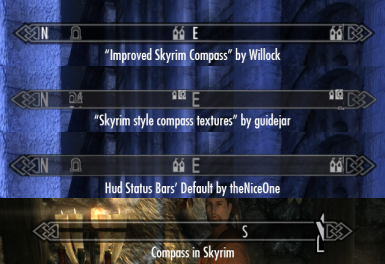 Okay, sorry it took so long, I've made a new mod I think you might like?